That cat box is still haunting me... it was only $5 but I didn't have any room for it in my apartment! My chilly-SF-summer outfit: vintage top and cardigan, Anthropologie skirt, Chie Mihara boots. A fellow Ashley on the right... too cute in a vintage purple hat. I bought that lace dress! How could I possibly resist?! My new goofy basket purse, $8 well spent if you ask me. O_O all those cameras and lenses!! Your outfit makes me happy for some reason :D Must be your new straw bag, so cute! SEVENTH PHOTO DOWN! there is one of those avon elephant cologne bottles just like i have!! cool man. and this place looks awesome. wish i could gooo. 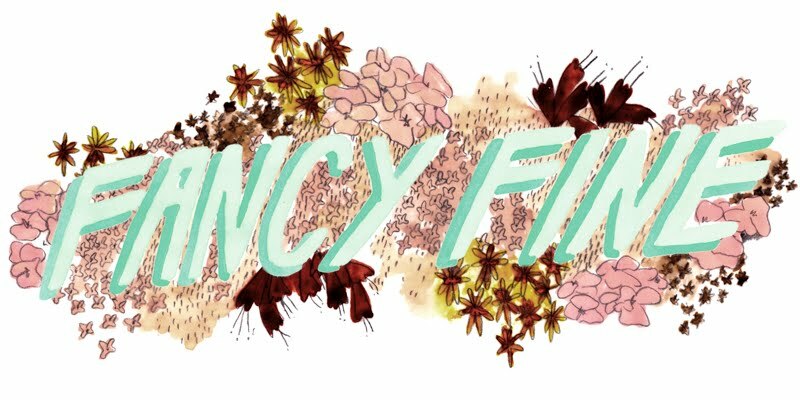 I was gonna say, i hope you bought that lacey dress!! and those doll heads are priceless, really. i cant believe someone is selling them. Such truly amazing and bizarre finds! Also, I love the proportions and colors of your outfit. 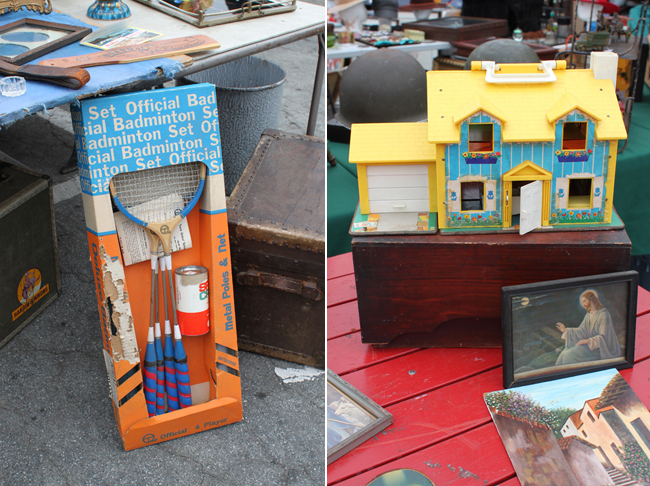 this looks like flea market heaven. GAHHHHHH. Oohh my goodness - what a stunning post! 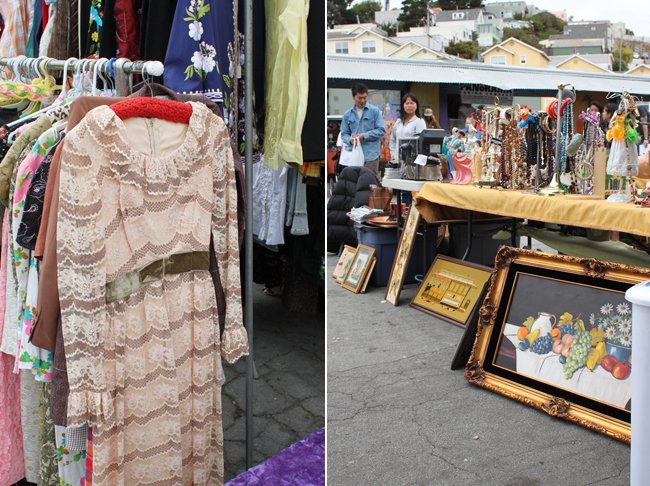 What gorgeous photos and subjects *___* This post definitely makes me want to go find some flea markets nearby! i really want to go to this. amazing stuff. that cat box- NEED it! your new lace dress could very well be the fuller silhouetted, lighter shade of caramel of my new lace dress. 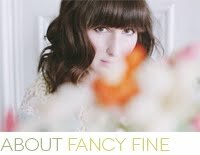 me thinks we need to go somewhere fancy soon; clad in lace, of course! 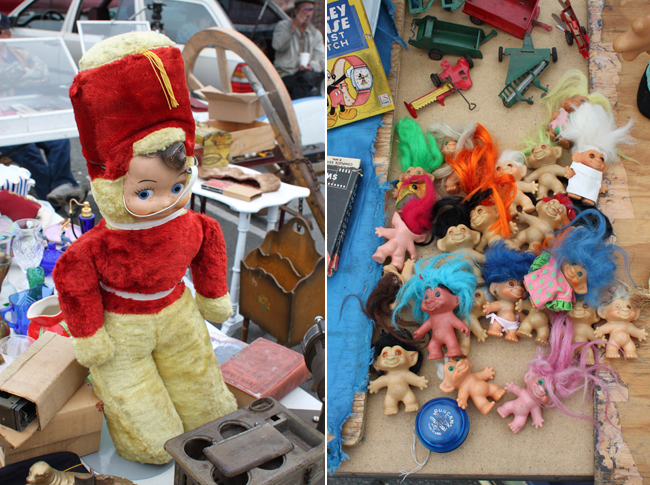 flea markets are magical. i hope you didnt touch that vibrasage, it looks filthy, ifyouknowwhatimean. I love all the slightly creepy, yet beautiful treasures - especially the "I will hold the teabag" dishes! Nice job with the photos! Holly camera madness!! Never seen anything like in that photo! Are any of them still functioning? Oh, I would just faint in front of it!!! oh, your skirt, your whole outfit, oh the antique jewelry, & your friend's all dressed fabulously! I wish I was there! 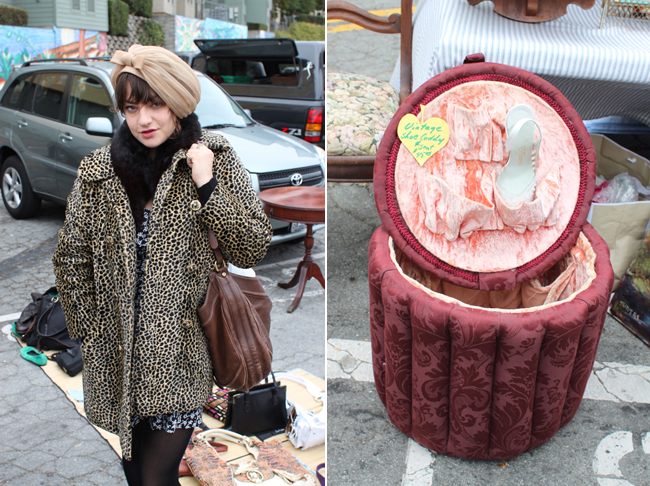 So many amazing finds on each table (especially that kitty box!) I know I would have dropped a lot of money at that flea market. I can't get over that table with all of the camera equipment! I think my heart sank to my stomach. I want to pick through it all! 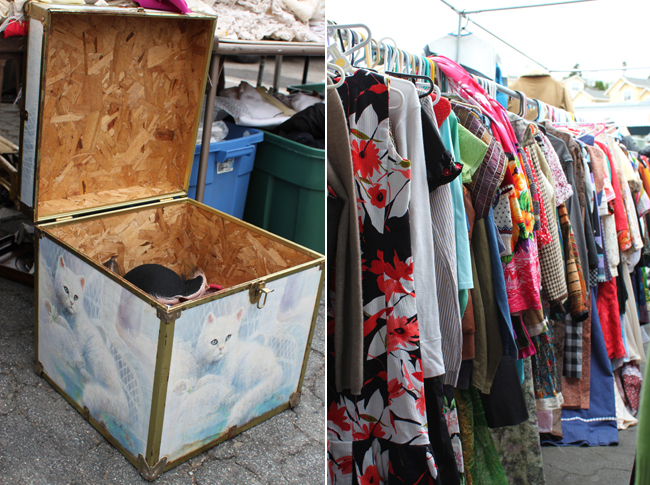 this flea market looks amazing, I wish we had something even remotely similar here! the cat box is awesome, I can see why it's haunting you! So jealous! I want to go to this! ohhhh how I've missed your adorable face! 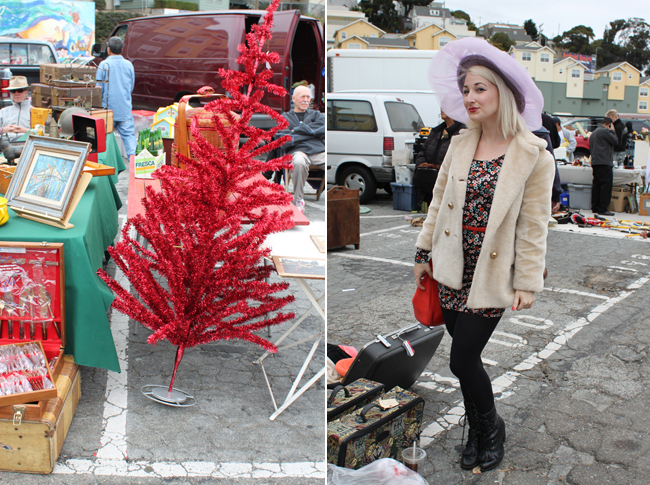 I need to make a trip to the bay area and make a stop at every great flea market, ever! I can't handle all these pictures and not ever going. Your outfit was adorable and i love all the weird/crazy stuff!